First of all, we have the Ingersoll Padlock 10 Lever Extra Close. This padlock comes with a size of 81H x 63W x 40D and has a clearance of 20 Horz. x 18 Vert. The padlock sports a finish of dull nickel chrome and has a removable closed shackle. The Abloy Protec2 PL 362 is a grade 6 padlock which comes with a case-hardened steel finish. The clearance of it is about 30mm x 25mm. And it comes with ABLOY PROTEC2 Keying System technology. Next, we have the Mul-t-lock MT5. This one is also one of the best padlocks of all time. 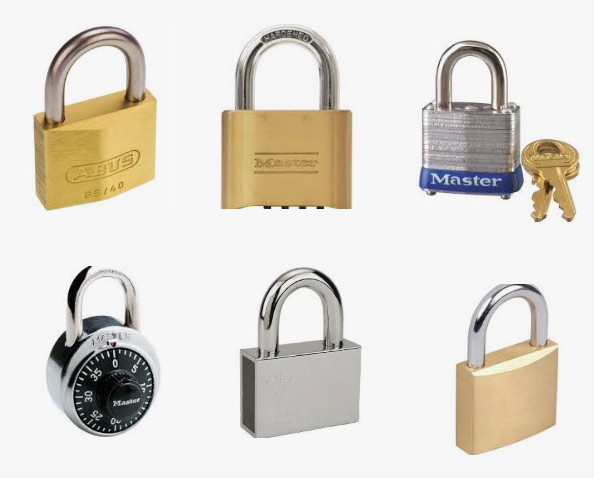 The padlock sports a size of 5.2 x 3.2 x 2 inches and has a very affordable price. This padlock offers you a 25,000-Pound of tensile strength. The padlock is made of 65 Rockwell core-hardened lock body and shackle. And it comes with the key-retaining for added security. Also, there is a hardened steel bottom plate for additional protection against physical attack. You can also check out the Medeco M3 5/16. This padlock comes with a unique elevating and rotating tumbler pin system which is virtually pick proof. Along with that, there is 2keys and a code card included with the padlock. It sports a shrouded shackle design. BEST Access Systems 21B72L Padlock is one of the best padlocks of all time. It comes with a Satin Chrome finish. And it is made of Brass and Stainless Steel. The Stanley Hardware S828-160 CD8820 has a security grade of 5. And it comes with Dual stainless steel ball-bearings resist pry attacks and commercial 6 pin cylinder with anti pick pins. Also, there is a patented keyway cover that protects against drilling. In the end, we have the Master Lock 178D. You can set your own four-digit combination lock for easy combination recall. Also, there is a combination change tool included with the padlock.